The Corker-Cardin process was supposed to save President Hussein Obama from having to bring the Iran nuclear sellout for approval by the United States Senate, where it had no chance of winning. But according to Harold Furchtgott-Roth, Obama may have outsmarted himself. The Iranian sellout violates the Nuclear Non-Proliferation Treaty (which was ratified and approved by the Senate), and is therefore effectively an amendment to that treaty that requires two thirds approval from the Senate. The issue is not whether the executive can without a treaty enter into agreements with foreign governments. Of course it can. That happens often from negotiating minor details of landing rights to major agreements. But these executive agreements are done consistent with treaty obligations, or certainly not in conflict with them. The Iran Deal conflicts with the NPT. Treaties are the law of the land and have the status of federal statutes. They do not trump either the Constitution or subsequently enacted statutes. As a statute, however, a treaty would supersede a regulation, an executive order, or an executive-signed agreement. If an executive agency or an independent agency has the latitude to issue orders or sign agreements that conflict with treaty obligations, then treaties ratified by the United States have little if any enforceability. In the United States, the administration or an independent agency cannot simply write an order that conflicts directly with a statute. The rule of law flows insists on no less. Why should a treaty, the NPT have lesser status? 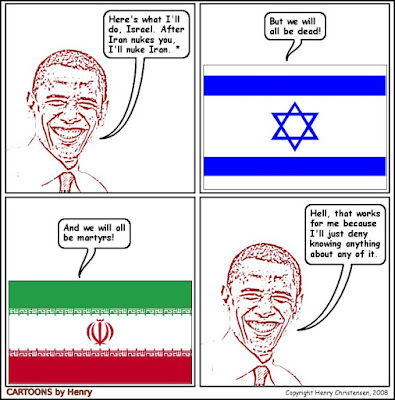 The Iran Deal will not have the status of even a statute. As currently planned, it will not be subject to the constitutionally mandated process for Senate consent for a treaty. Nor will the Iran Deal become a statute even under the Corker-Cardin process of Congressional review. Moreover, as seems likely, the Iran Deal will result in a joint resolution that will have the support of fewer than half of the members of either house of Congress, hardly the foundation for a statute. The Corker-Cardin bill established a process to review an executive order, not review a treaty amendment. No one has put forth an argument that Congress can bind itself in advance to a process to create or amend a treaty by a process different from that stated in the constitution. Read the whole thing. He goes through the treaty and lists several violations. 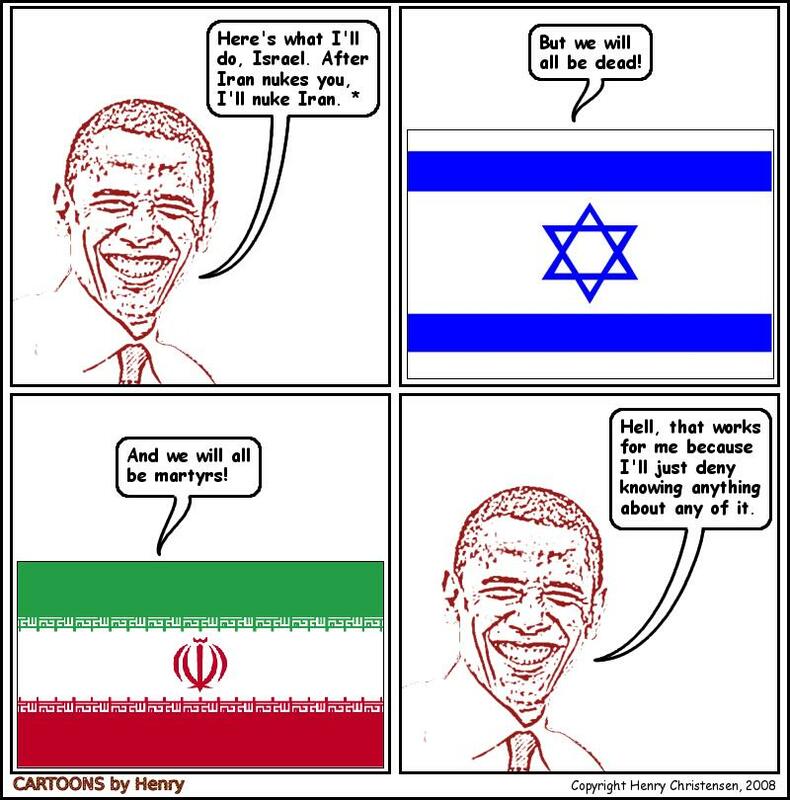 But Obama won't retaliate by nuking Iran if they attack Israel.